Paramount electronics are a specialist UK based manufacturer of high performance bespoke cable harnesses, wire harnesses and wiring looms. All assemblies are 100% tested and inspected using computer controlled equipment before leaving our factory. Paramount are here to help you, whether you have: a drawing, a sample, a partly-built machine or just an idea . With over 22 years’ experience of loom building, sophisticated electronic test equipment that measures continuity and insulation resistance and with a hands-on management staff, well able to produce the looms themselves, supervising a widely experienced and fully-trained team of operators We can solve wiring and assembly problems for a wide variety of industries. 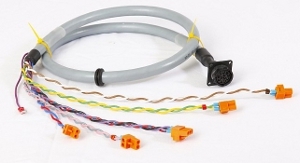 We will take your drawing and manufacture a assembly loom board so we can produce your cable harness, wire harness or wiring loom exactly to your drawing and requirements every time. 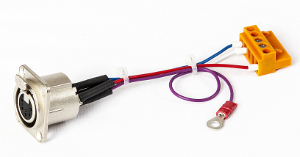 We will wire prototype machines on your site and, after testing, create drawings and loom boards ready for production. Multi-stranded assemblies that may include single-strand wires, screened or unscreened cable, finished with lacing cord or cable ties and with expandable or heat-shrink sleeving. We can also supply wires prepared, cut, stripped and tinned.